Successfully Added Flash Deal Siswoo Monster 5.5 Inch Smartphone - 4G, 1080P Screen, Octa Core 2.0GHz CPU, 3GB RAM, 32GB Memory, NFC, 3350mAh to your Shopping Cart. This Monster 5.5 Inch Smartphone supports 4G and has a 5.5 Inch 1080p Screen, an Octa Core 2.0GHz CPU, 3GB of RAM, 32GB of Internal Memory as well as Android 4.4 operating system. 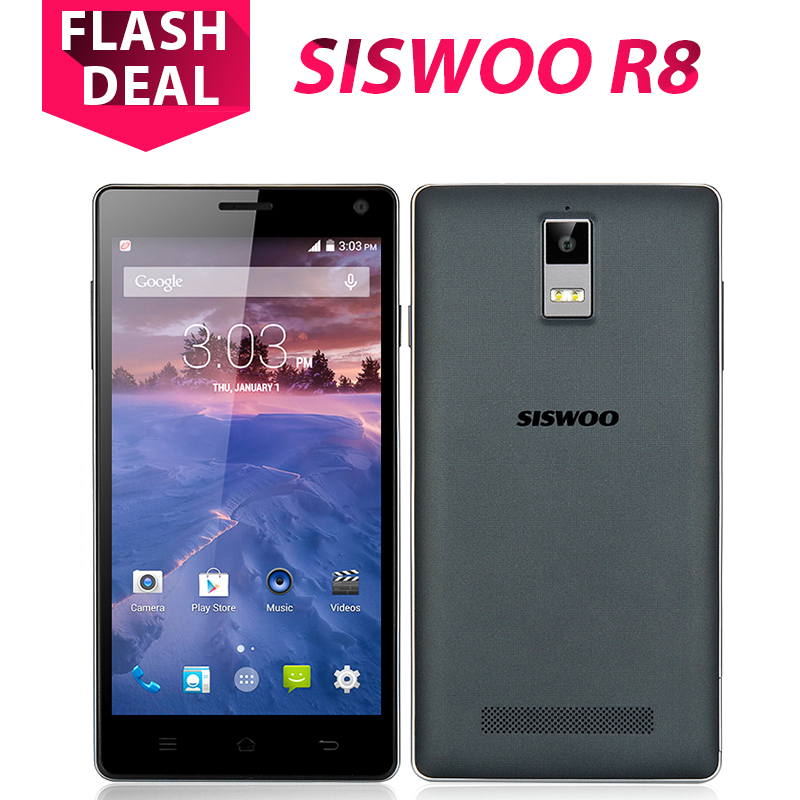 Super Android phone specialists Siswoo have a monster of a phone and thanks to this Flash deal it can be yours for just $129.99, this is a saving of $70 on the recommended price thanks to a special deal we have negotiated for our loyal customers. The performance on this Android 4.4 phone is spectacular as it houses a MTK6595 Octa core processor that can clock speeds of up to 2.0GHz. Backing up this multi core chipset is 3GB of RAM that ensures any lagging or sluggish performances that you have experience before with other phones is something of the past. Multi-task and play high demanding games that you may have downloaded from the pre-installed Google Play store without worrying about anything thanks to this powerful octa core SoC setup. Also what will surprise many is that the Monster 5.5 Inch Smartphone scores higher that the Samsung Note 4 on a CPU comparison benchmark test that was conducted by the manufacturers. Simple aesthetic with a natural design, the overall size of this phone is large but very comfortable to hold plus the 5.5 inch screen shows all your content in true beauty thanks to the 1080p resolution. Insert up to two SIM cards to run two separate numbers simultaneously on this one octa core device, plus this phone supports 4G, WCDMA and GSM bandwidths. There is an IR function that lets you use this smartphone like a remote control to use with household appliances such as your television or air condition unit, so you have complete power through this one device. Connect external peripherals like a keyboard or a flash drive via the OTG support that this Android phone offers as well as share files with other devices via the NFC function. There are other cool features to make interaction with this 5.5 inch phone more practical including gesture sensing and smart wake, which results in your phone respond in a more convenient and faster way. Android 4.4 along with the Google Play store come as part of the package that allows for fully customization as well as the ability to download and install apps to enhance your phone use experience. Snap a photo or record a video with one of the two cameras that the Monster offers, plus both cameras can be expanded further via interpolation. This product is in stock now and can be yours for just $119.99 (thats a saveing of $80) and comes with a 12 months warranty, brought to you by the leader in electronic devices as well as wholesale Android smartphones,.